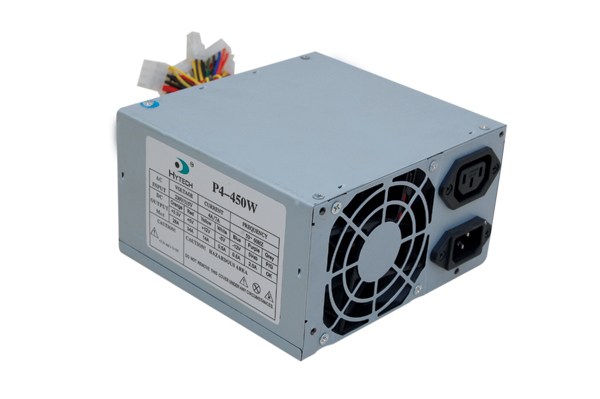 Switched Mode Power Supply uses a switching regulator to convert electric power efficiently. SMPS transfers electric power from a source ( AC mains) to the load by converting the characteristics of current and voltage. SMPS always provide a well regulated power to the load irrespective of the input variations. SMPS incorporates a Pass transistor that switches very fast typically at 50Hz and 1 MHz between the on and off states to minimize the energy waste. SMPS regulates the output power by varying the on to off time using minimum voltage so that efficiency is very higher compared to the linear power supply. The AC input from mains is first rectified in the SMPS using a rectifier to convert it into DC. The rectifier consisting of a full wave diode bridge or module that produces an unregulated DC voltage to the Smoothing capacitor. The input AC passing into the rectifier has AC voltage pulses that may reduce the power factor. So control techniques are used to force the average input current to follow the sine wave. This stage converts the rectified DC into AC using a power oscillator. The power oscillator has a small output transformer with a few windings at the frequency 20-100 kHz. Switching is controlled by a MOSFET amplifier. The output AC voltage is usually isolated optically from the input AC by using an Optocoupler IC for safety reasons. This stage has a high frequency transformer and the inverted AC drives its primary windings. This creates the up and down voltage at the output. If DC is required, the output AC is converted to DC using a rectifier circuit using Silicon diodes or Schottky diodes( fast recovery and minimum loss of current and low forward voltage drop) . 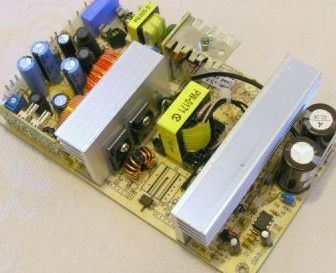 The rectified output DC is then filtered using the filter section consisting of inductors and capacitors. 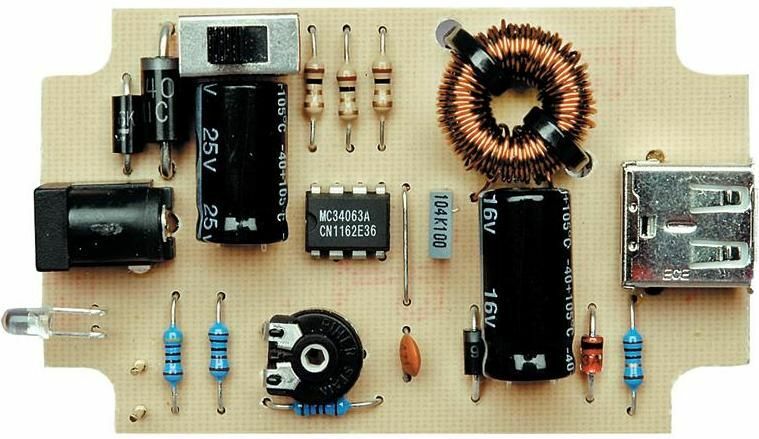 Some non isolated SMPS contains an inductor instead of the transformer and the circuit act as boost converter or buck converter. In high voltage SMPS, Capacitor-Diode multiplier is used instead of inductors or transformer. The output stage always monitors the output voltage by comparing with a reference voltage using a feedback system. For safety reasons, the output stage is isolated by an optoisolator as seen in the SMPS of computers. In some SMPS, Open loop regulation is used without feedback circuit and constant voltage is fed to the transformer input. The feedback circuit needs power to run before it can generate power, so an additional non-switching power-supply for stand-by is added. Light weight since the transformer is too small and it it operates at high frequency of 50Hz-1MHz. Output voltage is well regulated and controlled by duty cycle and there is little resistive loss since the transistor fully on or off during switching. Greater efficiency since the switching transistor dissipates very little heat. The SMPS can fail and can cause very high output voltage that destroys the equipment. 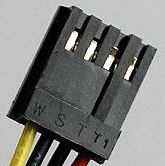 Confirm whether the power cord is tight in the socket of SMPS and is connected well in the UPS. 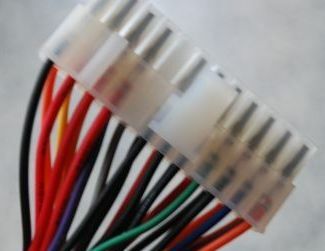 Remove the 4 pin connector and connect a 10 Ohms 10 Watt resistor across the yellow (+ 12V) and black (Gnd) pins of the connector. Connect the power code to UPS and connect the 24 pin cord to the Mother board. Short the pin 16 (Green) with the adjacent black pin (pin17) using a short wire. If the Fan runs normally, SMPS is working normally. If not, unplug the fan and check it with 12 volt supply. If the fan is OK, then the check the voltage at the output pins of the connecter. Voltage levels in the 24 pin connector are shown below. If the voltage in the pins is not as specified, replace the SMPS before powering the PC again.